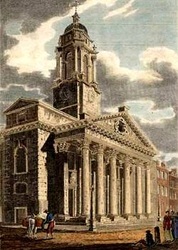 Includes; Mary Margaret Champneys, Margaret Astley Huskinson, John Usher Hogarth. 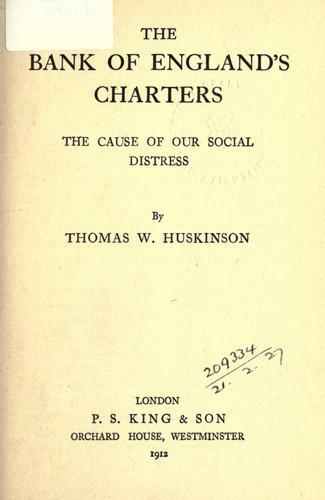 Thomas William Huskinson was born 13 Apri 1862 at Epperstone, Nottinghamshire. Age 9, at the time of the 1871 census he was a scholar at a preparatory School at 20 Nott'm Rd, Mansfield. He went on to be educated at OLIVER'S MOUNT, Scarborough, Yorks, conducted by Thomas Walton. The school was a private boys Quaker School. The school was also attended a number of the Rowntree family including Oscar Rowntree. 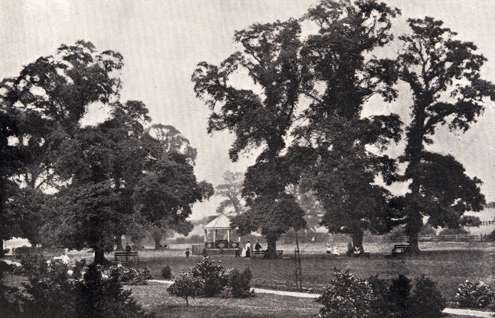 At the time of the 1881 census, Thomas had returned to Epperstone, and was living in the manor. No occupation is listed. "4th (Nottinghamshire) Volunteer Battalion, the Sherwood Foresters (Derbyshire Regiment), Thomas W. Huskinson, Gent., to be Second Lieutenant (Supernumerary). Dated 4th May, 1889." "The date of Second Lieutenant Thomas W.Huskinson's appointment, announced in the "London Gazette of the 17th May, 1889, should be 3rd May, 1889, and not as therein stated." At the time of the 1891 Census he is listed as living at Epperstone Manor in 1891, and his occupation is listed as a land agent and farmer. 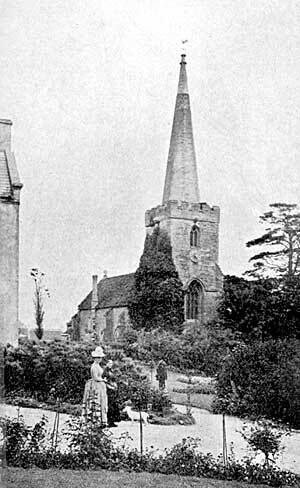 Thomas became a land owner at both Epperstone and Woodborough. He went on to marry Mary Margaret Champneys on 16 November 1899 at St George, Hannover Square, London. Mary's father was Maximillian Hugh Stanley Champneys, who was born 13 Feb 1816 in Canterbury (Kent), by the 1871 census he was the Rector of Epperstone until his death in 1891. She was the niece and co-heiress of John Ludford Astley of Ansley Park, Warwickshire. By the marriage of her grandfather, Mr. H. W. Champneys of Westenhanger, Kent with Lucy, daughter of Rev. Geoffery Hornby, who married Lucy Stanley, grand daughter of the 11th Earl of Derby, Mary M Champneys claims a royal descent from King Edward 1. At the time of the 1901 census, he and his wife Margaret are listed as living in Epperstone, Notts. Thomas is a land agent, and they employ a house maid and a cook. Shortly afterwards their daughter Margaret Astley Huskinson was born on the 6 July 1901. In the 1908 London Gazette he is noted as a Captain and Honorary Major. 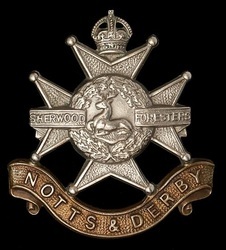 precedence as in the Volunteer Force. Dated 1st April, 1908 : — Lieutenant-Colonel George Savile Foljambe. 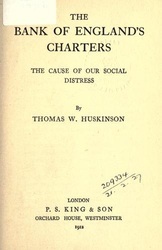 Captain and Honorary Major Charles John Huskinson.Captain and Honorary Major Thomas William Huskinson." "8th Battalion, The Sherwood Foresters (Nottinghamshire and Derbyshire Regiment); Captain and Honorary Major Charles John Huskinson. Captain and Honorary Major Thomas William Huskinson. Captain and Honorary Major Charles Frederick Elliot Smith (retired). And the 1912 London Gazette; TERRITORIAL FORCE RESERVE- Infantry. "Major Thomas W. Huskinson, from the 8th Battalion, The Sherwood Foresters (Nottinghamshire and Derbyshire Regiment), to be Major. Dated 18th December, 1912." His wife Mary died on 17th November 1921, at Epperstone, age 62. In 1923 his daughter Mary Astley Huskinson married John Usher Hogarth on the 1st of August. John Usher Hogarth was a Major in the Grenadier Guards, born 13 April 1899. He was educated at Harrow and Magdalen College, Oxford. They went on to have two daughters, Veronica and Susan Hogarth. Thomas Huskinson of The Lower House, Epperstone, died on the 12 June 1935. Probate Nottingham 15 August 1935 to Margaret Astley Hogarth single woman and Gervase Gwynne Milward, Land Agent. In 1944 John Usher Hogarth died on active service at Narni in Italy 19 July 1944. Mary Astley Hogarth (Huskinson) died in 1977 at Kingsbridge, Devon. John Henry Huskinson was born 15th July 1863, at Epperstone, Notts. At the time of the 1871 census he was living with his parents at Epperstone. By the 1881 census he was living away from home as a boarder at Oliver's Mount School. Scarborough. I have no further trace on John Henry Huskinson, but I believe he may have emigrated to Australia. Please contact me if you have more information.